Pastorkalt comes with an interesting Christmas offer within which you can have a wall cabinets FILIP 300-1875 M2. The cabinets are ready to be dispatched in following version: RAL7024 both inside and outside, with mirror sidewalls, equiped with night blind and stainless steel bumper. The exact prices will be offered to you by your Pastorkalt dealer. We are looking forward to our demand. You are on our new website, it is possible that you still will not find all the necessary information. In that case, please contact us with questions directly. 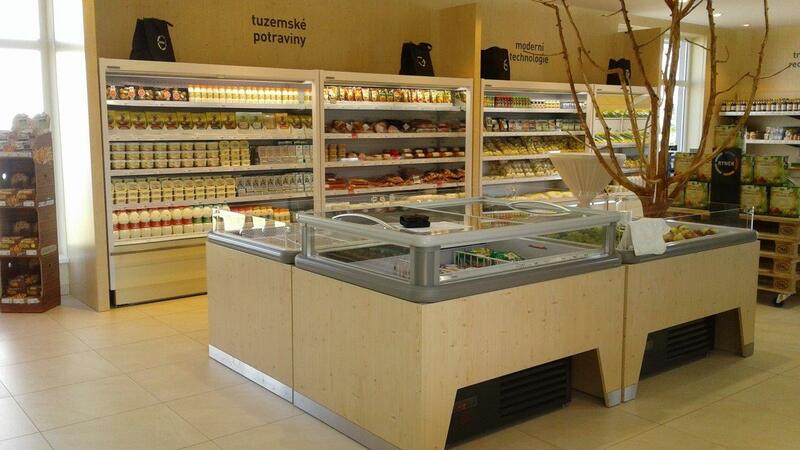 FREEZING OPEN ISLAND XENIA IS DESIGNED FOR SALE OF ICE-CREAM, FROZEN SEMI-FINISHED PRODUCTS AND OTHER FROZEN PRODUCTS. IT IS SUITABLE ESPECIALLY FOR IMPULSE SALE OF SELECTED KINDS OF FOOD-STUFFS WITH POSSIBILITY OF PERSONALISATION ACCORDING TO REQUEST OF THE CUSTOMER ON ALL FOUR SIDES OF THE ISLAND. 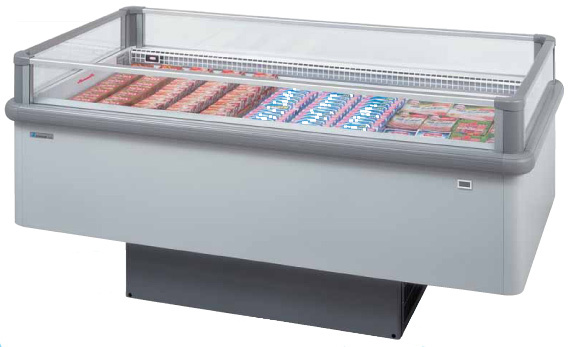 UPPER PANORAMIC PART MADE OF INSULATED HEATED DOUBLE GLASS MAKES EXCELLENT VISIBILITY OF DISPLAYED PRODUCTS AND SOLID PLASTIC PROFILE PROTECTS THE CABINET AGAINST DAMAGES CAUSED BY SHOPPING TROLLEYS. IT IS PLUG-IN ISLAND, FAN ASSISTED COOLING AND AUTOMATIC ELECTRIC DEFROSTING ARE ELECTRONICALLY CONTROLLED. Pre podrobnú mapu kliknite sem. Pastorkalt serveover refrigerated and low temperature cabinets, pastry and neutral tables, fish- salad- refrigerated cabinets and patisserie cabinets, also complete range of wall cabinets. Pastorkalt stands for the customer complex services by creation of new, evtl. rebuilded commercial premises of food nature, and that from current housing scheme shops till large supermarkets, hypermarkets, specialized meat and pastry shops, also patisserie, fast food and baguette shops. From this wide range covers Pastorkalt with its own production the serveover refrigerated and low temperature cabinets, pastry and neutral tables, fish-, salad- refrigerated cabinets and patisserie cabinets, also complete range of wall cabinets. Recently have been added wall cabinets for producers of food, freezer open islands with agregat. The rest of the range is completed by offer of the foreign companies, those to whom we are authorised or exclusive importers: Pastorfrigor spa, AHT.